Knowledge Base Home Create Drag & Drop Editor Email Marketing What is the Inbox Checker and how do I create an Inbox Checker test? The Inbox Checker is a feature that allows you to see how your emails will appear, by providing you screenshots, from various email clients before sending to your entire list. You can even test different spam filters to find out whether they Pass or Fail. Click on Emails from the Dashboard menu. Click on the Create New Test button on the top-right of the page. On the Details page, select your desired email. Click on the Select Email Clients button on the bottom of the page. On the Inbox Checker pop-up, check the box next to the desired Email Clients and/or Spam Filters. Note: Benchmark offers 1 free test Gmail (Explorer). 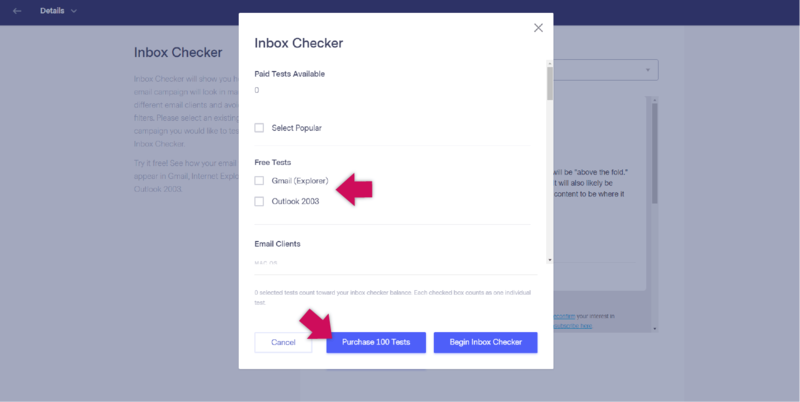 The Inbox Checker feature is $14 for 100 tests and is not a recurring fee. 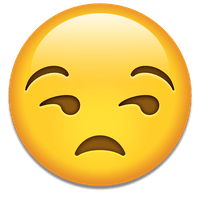 How do I create an Inbox Checker test?